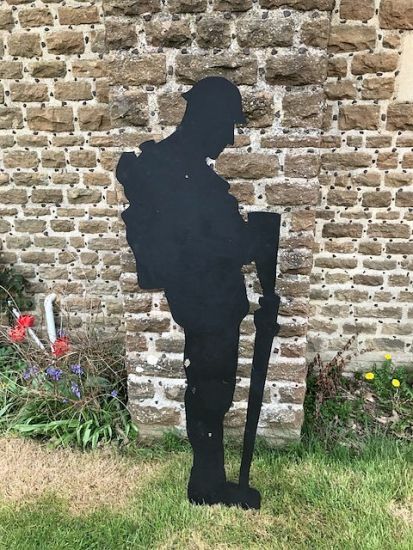 A group of Haslemere residents that are part of the Parish of Haslemere organisation have come together to mark the centenary of the end of the Great War, producing a wonderful and thought-provoking Memorial to honour and commemorate the local men and women who were killed in the conflict. Our Leightons Haslemere team were there to support the project, in fact most of it took place right on our door step. Leightons Haslemere is fortunately positioned so that it faces directly onto St Christopher Green, so it seemed unquestionable that we got involved and demonstrated our dedication to the town and event itself. 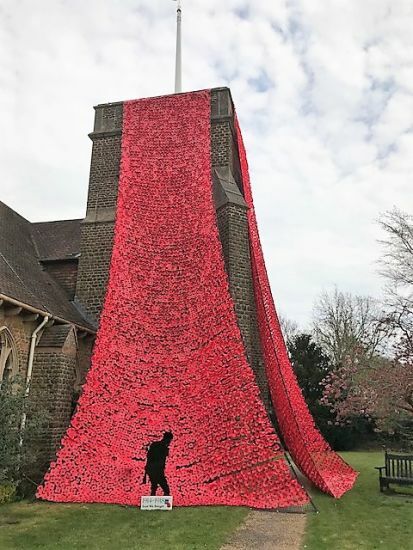 Out of several projects, a significant one was St Christopher’s Church unveiling the draping of 12,000 fabric poppies and the restoration of the Flag Pole, facing towards the Green. The restoration will act as a reminder for future generations to come that The Great War impacted their ancestors who gave their lives in the defence of freedom and democracy all those years ago. 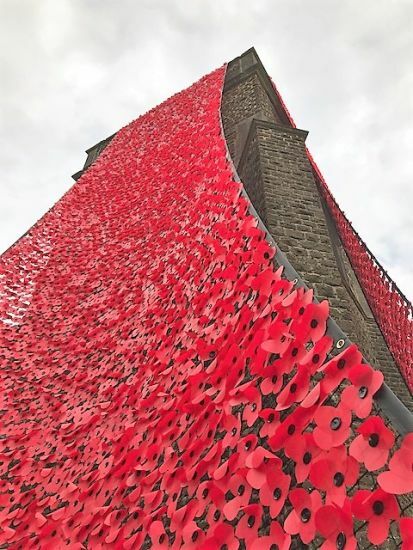 The 12,000 poppies were creatively dressed on the netting falling from St. Christopher’s Church tower and were made up of handmade poppies designed personally by local schools and organisations that were taking part in the ‘poppy-thon’. As well as this, real poppies were planted on the green to help make a lasting impact for local residents. The new flag pole was installed on 10 April 2018, thanks to the fundraising efforts of local funding bodies, who managed to raise a total of £14,500 for the event. As well as the Parish of Haslemere being partnered up with the Royal British Legion for the project, they also had lots of generous support from the following list of organisations who have provided financial support to enable the project to happen: The Community Foundation for Surrey, Haslemere Town Council, Shottermill Great War Memorial Trust, the Surrey Churches Preservation Trust and individual members of the Haslemere Parish congregation. 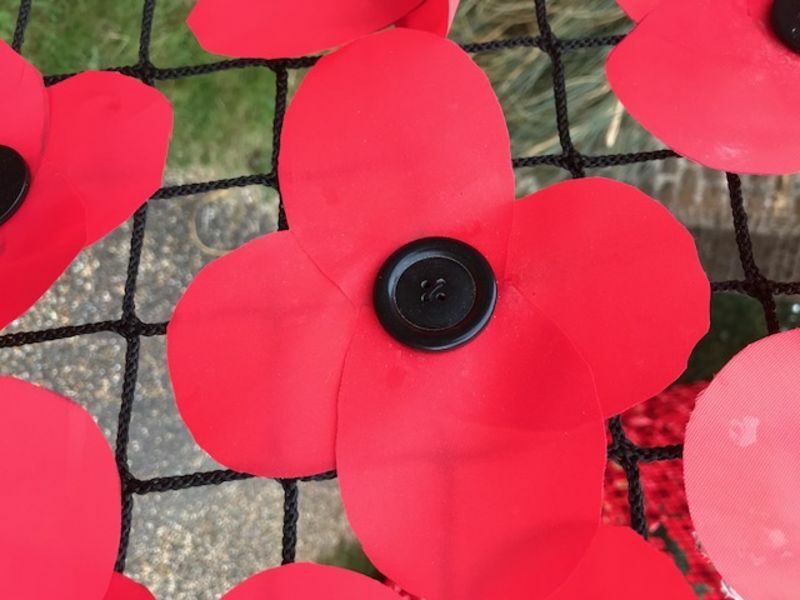 The 10 local schools that agreed to do the research, attempted to find out details on the names that appeared on the following local war memorials: Haslemere, Grayswood, Hindhead, Shottermill, Hammer, Camelsdale and Lynchmere. The outcome of the research is stored on the Haslemere & District Memorial website for all the work completed so far for the Haslemere War Memorial. In addition to this, the names were added to the Royal British Legion’s website. The Royal British Legion is the UK’s National Custodian of Remembrance, working with the Commonwealth War Graves Commission to help keep the memory of those who died in WW1 alive. The site includes an interactive feature that allows you to get involved simply by either entering the name of the person you wish to remember and your remembrance message, or if you don’t have anyone in particular in mind but would like to contribute to acknowledging the brave lives of the men and women, then you simply just search for a name and write your remembrance message. 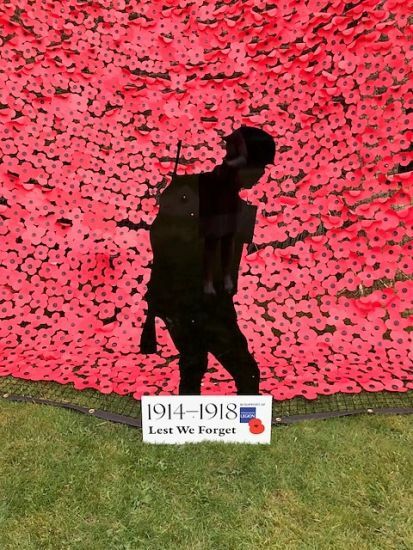 You can also plant a poppy, upload photos and attach a story if you have them. The event was a huge success, better than ever expected in fact and to have Leighton’s Haslemere sponsor such a good cause was extremely rewarding for all the team. We believe preparations for the next event, which is to be a themed Flower Festival on 14th-16th September, are well underway – find out how you could get involved http://www.haslemereparish.org/get-involved/.